Should You Launch a Blog with One Post or Build Up an Archive First? Should your new blog have more than one post on it when you launch? This is one of the most common questions I get asked and so I thought I’d share a few thoughts on what a blog “should” look like when you first show it to the public. There are a few different factors that might impact your decision. What should a new blog look like? If you’re looking to start a new blog you might be wondering what it should look like when you first show it to the public. What elements are essential and what things can you leave for later? The very first week of Blog Tyrant. Gross. There really are no hard and fast rules, and what works for one blog might be totally ineffective on another. That being said, I have compiled a 44-point checklist on how to start a blog that goes through some of the items you might want to think about in order to give yourself the best chance of success. For example, you’ll want to have a place for readers to subscribe by email from the very beginning so that you can starting building your email list for the future. But what about the number of posts? How many posts should your blog have before launch? A lot of new bloggers think it’s important to build up a mini archive of articles before making things public. But, in my experience, it’s much better to just launch your blog with one article that really sets the tone for what your blog is going to do in the future. Darren Rowse from ProBlogger used to call these pillar articles. So, ditch the idea of a “welcome” post and just dive straight in with some incredible long form content that solves problems and makes you stand out from the crowd. So, why no archive of posts? If you publish five blog posts before you launch the blog there is very little chance that they are going to get seen by anyone. Some of your best work might be stuck back there. But if you launch (and that means promoting…) with one amazing article then chances are people will subscribe to your mailing list in anticipation of the next thing. They will then help you promote that next article by sharing it on social media. One other thing that I wanted to mention is that a lot of bloggers want every thing to be perfect before they put themselves out there. I used to be terrible at this. I’d spend so much time tweaking these tiny little things that I never got anywhere. The worst part about it was that those tiny little things would only ever be noticed by me anyway. So, when it comes to launching a blog, I highly recommend not finding new reasons to put it off. I talk about that a little bit in this post from a few years ago. Try creating that brilliant first article and then ensure you have a quality mailing list incentive for people to download once they’ve subscribed. 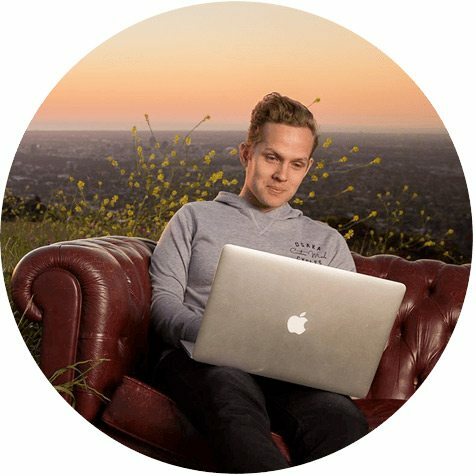 Here’s a case study for a blog launching strategy like this that landed someone 17,800 subscribers. If you’ve got a question you’d like me to answer here on the blog (even if you think it’s a beginner one!) hit the button below and send me an email. I obviously can’t do them all, but if I think enough people will benefit from a longer-form answer I’d be happy to do it. I have a question, My blog is almost 5 months old having many quality articles but still I am not getting any Organic Traffic, Am i doing something wrong or I have to wait and keep working ? You could also do things like leave your website URL when you leave comments (like this one). Most importantly, however, is to write less for your own blog and more for other people’s blogs as a way to get your name out there. I’ve been thinking a lot about this since a few days. But hey, you’ve mentioned some truthful and practical points out there. So ‘one post idea’ seems valid to me. Agreed! However, the number of posts surely creates a perception which make the ordinary blog look BIG. On the other hand, a loyal readership doesn’t mind the number of posts maybe. That’s variable – based on a lot of things. In what cases do you think several articles should be published at once? Or are on the side of always starting with just one post? I think the only time that I’d want to put up more articles at launch is if I had some kind of niche/brand where I needed to cover many topics. For example, if my website was like Anatomy Tyrant I’d want to make sure I had more than one article about the little toe! Mostly, however, I think it’s just best to get started and get people excited for more. Almost six years doing what I do, and I still don’t have a well-structured answer to this question. Now, it’s more like “well, build 3-4 amazing resources and you are set”. Gotta admit- your way looks better. Start with one, as it will generate anticipation, and the other 2-3 will be appreciated more and help build a momentum. Keen to see the final results! A very good blog topic. I made one serious mistake and I still haven’t remedied it. I didn’t start building my email list. Every blogger is learning, always learning, so just get started. Hi Stephen. You’re not alone – lots of bloggers put this one off. I’d say before promoting, have three posts that show your depth of knowledge and also more posts increases subscriber conversion rate. I like your whole jump in with both feet approach to blogging. Start with one and build. I have a question about archived posts though — on my site http://www.chumplady.com I’ve got a link to the archives, and I’ve learned from commentators that people read the WHOLE THING. Like over a thousand posts! I did go to the trouble awhile back of organizing them by subject matter (and you can search that way) — but I mean people read backwards through the thing. Tracy, your blog is going so well I would just keep doing whatever you are doing. I never post old articles to the front page, so maybe could learn a few things from you. The only thing I’d suggest is to maybe hire someone to go back through your old posts and fix up any things that need updating. For example, you might want to link to some newer posts, or perhaps there are like 5-10 of your best focus articles that you want to push a bit harder in the archives. Other than that it looks like you’re smashing it! Thanks Ramsay! I am going in for a site redesign soon. I’ll totally add that to the to-do list. Sure! I’ve got lots of room for improvement. Great post, Ramsay–and at the perfect time! I’m launching in two weeks. That’s a good point, I hadn’t actually thought about it. I imagine it would still be fine as long as there is some sense of something coming up soon, and as long as you still have a very good mailing list offer. I’m the same here. Most of the posts are 3,000+ words and take me a while to write. This one was a shorter one which I did as a test and it seems to have gone pretty well. 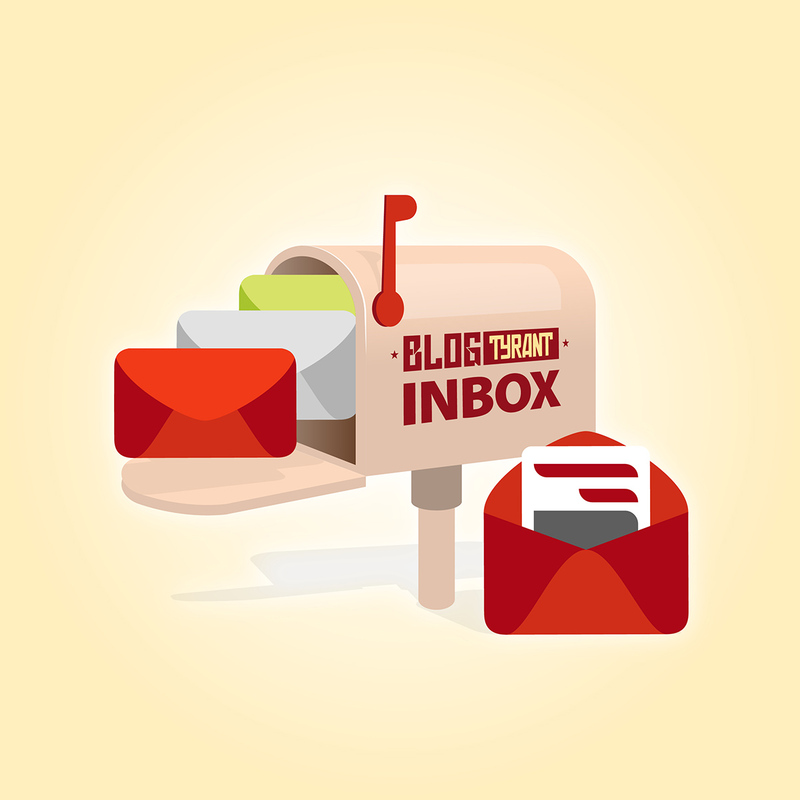 I think all blogs are different but there’s no harm in testing. This makes a lot of sense! However, I was drawn to read this post because I was wondering if I should have some articles stocked up, not to launch on my blog immediately, but to schedule for later. Anywho, back on topic. I have been working on this article for about a month. I took your advice from a previous article and am trying to make it 3,500 words long. My concern is if writing articles takes me this long, then maybe I should have a few more for back up. As far as launching goes, the site is already up so I guess I’m too late there. Hopefully the fact that my first post is not up isn’t hurting me. As long as it’s valuable and distinctive it doesn’t seem to matter how long you take in between posts. Glen from ViperChill only posts a few times a year but people fall over themselves to read anything new. I did this completely by accident, so it’s validating to find out it was the recommended approach anyway! I went live about a month ago with only two posts, but pretty epic ones. I’ve had about 50,000 views and over 1000 subscribers already, which completely exceeded my expectations. Totally feel you on the small details thing too – perfect is the enemy of good. It took me forever to get the blog up and running, because I was obsessing over everything. There are still heaps of tweaks to make, but I realised I can do them as I go. Thanks for running a great blog man, looking forward to reading through more of your stuff. Hi Richard, and hi Ramsay. Richard, I am launching very soon, and am working on a couple of posts to launch with my 8,000+ word subscriber eBook. I’m curious to know if you did anything particular to get those 50,000 views and 1,000 subscribers. Did you do any marketing to draw readers to your launch posts? What do you think worked for you? Hey Rick, mostly it was good luck to be honest (although the two pieces were pretty compelling). For one article, a couple of news websites got in touch after I sent the link out on my personal social feeds. For the other, I messaged someone influential within the niche because I thought he’d enjoy it, and I’d spoken to him previously. He shared it to his (much larger) following, and it went pretty nuts on Facebook. All the best with your launch! I agree that the number you start with isn’t as important as starting on a high note. Like that article where you contributed your thoughts about how to write great content (Thanks again for participating BTW). It has driven a ton of traffic and converts pretty well. For me, long form works. I mean, I won’t even write a post under 1500 words these days due to the nature of topics I like to cover. One long form article I wrote on focus (flow state) has generated 450 subscribers since I published it and it’s still going strong and the rankings are constantly improving. It wasn’t one of my first articles, but has since become a pillar and it’s opened many doors that would have otherwise been shut. PS I didn’t see that case study about 17000 subs in 6 weeks you mentioned in your email…..
Hey mate. It’s the last link in the post. thanks for the idea . And you know this came right on time… I Just launched my blog yesterday and guess how many articles? And I feel good because am taking my time to promote the post. please do check and let me know what you think. Hey Ramsay, your post is indeed very timely. I just launched a new music site which took me 4 months to build. I could have done it faster but I had to do almost everything – writing the content, creating images, writing an ebook as incentive for people to sign up to my list, SEO, link building, and all other technical things. I say almost because I did purchase some services on Fiverr but for the most part I did everything. It’s been a stressful last few months to say the least BUT I learned a TON along the way. I did plan on writing only a couple of reviews before launching the site but I kept on pushing the launch date back and wrote a few more articles until I finally got to a number I am now happy with. Anyway, now I am working on my next website and thanks to all the new knowledge I’ve picked up whilst working on my first site (and your very helpful post! ), I can safely say I can finish the new one in less than a month. Keep rocking and inspiring new bloggers! I’m so glad you’ve found this site useful! Thanks for the great comment. It’s nice to hear that simply diving in is the way to go. But it took me almost a year to figure out what to write about. Many of my first pieces were personal narratives. I recently just published another one, but mostly, I keep my topics to information that helps people solve a problem or answer a question. I think it’s reasonable to expect traffic to take longer in this case. I didn’t know about keywords until I found your blog, either. And I had already been publishing for six months. I recently read about a blogger who took six years to work it all out. she’s making a living with blogging, now. So, I think it’s important to remember that blogging isn’t a race, but a journey, instead. Some people take off like rabbits. Others, like me, may need longer. Yeah it takes time. Took me years to figure out what I wanted to do with it all. Thanks so much Ramsay, this is exactly the kick in the pants I need. I’ve gotten a bit stuck on my lead magnet and building the beautiful branded website, but it’s time to get moving. I’ve got one big post already trying to burst out between technical details, so I’m going to get on it and get things moving! This is definitely why I haven’t launched my blog – I’m awful at coding and making the site look the way I want. I have several articles, and more bouncing around in my brain, but I honestly didn’t want to post them until the site was finished. I can’t even get the photo sizes to match!!! I guess I should just go with it and launch the little sucker. Any suggestions or resources for people who are awful at creating a beautiful site? wordpress, genesis framework, with a studiopress theme. Gives the flexibility to customize with the ability to quickly have something up and running even if you don’t customize anything. I agree. I used a free wordpress theme until this past summer. Switching over to genesis sped up my site, which is important. Mind you, I learned that here on Blog Tyrant, too. 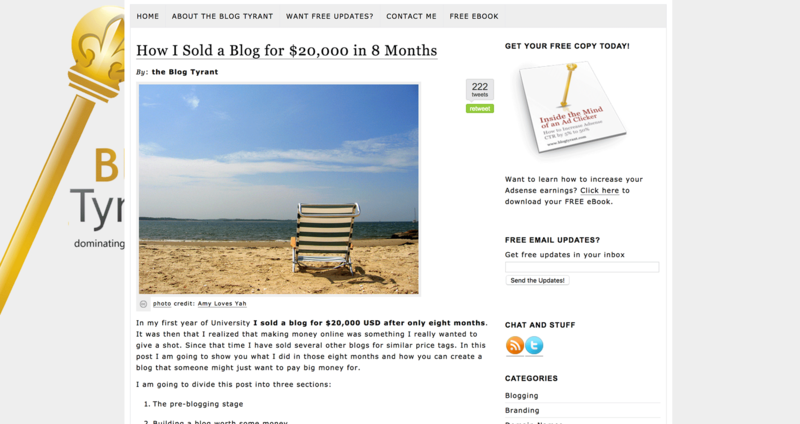 Many successful bloggers used free themes for much longer, though. I agree with Ramsay about jumping in and getting started. But if you have the money to spring for the genesis framework along with a studiopress theme, I would say, go for it. Agree with all of this but would add that if you’re truly terrible at it and it’s taking ages then just spend a bit of money and pay someone to set it up for you. It’s worth it. Here I was, planning on writing up to 20 articles before launching. Thanks for sharing. Hi Ramsay, nice post, perhaps I have failed to put a subscribe box in my blog, not for not knowing how but for not having serial mails to send out. Should I wait until having those serial emails? BTW awesome blog, greetings from Colombia. Nah it’s a good idea to have an option up for people to at least get notifications for when you publish a new blog article. This is a question I’ve asked myself and have researched about. I am currently doing all necessary preparations to kick off my blog (it’s 5 months now). I planned to launch the blog with at least 15 wonderful articles. Well, If I were to be asked, I would say, take your time to plan a good number of wonderful articles before launching your blog. Doing this has really helped my articles in so many ways and one of them is that you get enough time (as you can see, mine is 5 months + and counting) to edit, format and add new and fresh ideas that weren’t there at the point of writing. I devoted specific time to read through them every two days. I have added new ideas and corrected both tiny and huge errors just by doing this. Literally, I would advise any new blogger (like me) to take his or her time to create articles; then create time to read through them (usually loudly) before launching the blog. I’m glad this process is helping you with your writing but I would gently suggest that perhaps this is too long to spend on blog articles. I think it would be more beneficial to start publishing as opposed to trying to get it perfect. This was one of the many big questions I’ve been wondering about as I’ve been preparing to launch my first blog. I’ve still got a lot of exploring options to do first, but you’re posts have helped me incredibly. This one particularly felt like you were talking directly to me about it not needing to be perfect. Thanks for sharing awesome content as always! Glad it helped. Know that feeling! I think many of us wait to make a blog or other things in life everything we want because we feel a pressure to be perfect. thanks for sharing this. You’re right to the point again. When I’ve started my fitness blog https://www.sportchezsoi.com (that’s French!) I only had 1 article written + about page. I think it’s important for people to know about you while they discover your 1st post. I found it a better idea to post articles one by one, because I could learn progressivly about my mistakes. I could also understand step by step what is working for me and my readers. If you star writing a lot before posting, you can finally discover (and later than needed) that it was a waste of time because you were going in the wrong direction. I hope my comment is clear enough to help someone. Thank you for your wonderful work, Ramsay! That’s a great point. Hadn’t really considered that. I love your blog! It has helped me so much as I prepare to launch my own website/business. Before reading this, I planned on publishing several posts before promoting, but now I can see the importance of growing a community alongside the number of articles. Quick question though– If I plan to categorize my posts by topic (natural remedies, recipes, DIY, etc. ), should I have a post available for each category? Or still just the one welcome post? The main menu on my homepage will have the different categories listed, and I fear that if nothing is published under a specific topic, it could deter potential subscribers if they’re only interested in that one area. Catch my drift? Above all, thank you for the countless pieces of advice you’ve shared. Your website has quickly become my go-to-place for any blogging related questions. If you really emphasize the different categories in your site design then it might be a good idea to do something for each one, yes. Great case study and as always from you, Ramsey the go-to blog advisor on the net, fantastic content! Your post is so freeing. Ours is a travel blog – http://www.blog.MakeItJamaica.com. I started with one post but had about 4 in the pending file when I launched about a year ago. That allowed me to post once per week and keep writing ahead of schedule. It made it a little less stressful. I find I am such a perfectionist that I keep making the tiniest tweaks and editing and re-editing that I am sure in the long run didn’t make a bit of difference because it’s not as though I am getting much traffic anyway. Plus it wastes so much time! I made the mistake of not collecting the emails upfront and now I am trying to do that. I created a free e-book to give away but not many takers so have to come up with a more enticing or exciting product. I’m so glad it’s been helping! I would say that It is better to have more posts than one post because it will help the readers to understand how good the writer of the blog is and secondly it can help you to get a good bounce rate. Absolutely agree with every word of this. I’m in a bunch of blogger groups on FB, and I just want to cry at all the new bloggers I see who are spending a ton of money on having a blog designed for them, custom themes, logos, color palettes, and writing 10-15 posts all to have before they go live. I saw one woman saying she’d had her blog for over 6 months, and was “almost ready” to go live!! It makes me want to weep. I just did a total redesign on my blog – new theme, slightly rebranding (although I kept my name/url). I shut my blog down for 2 days, just so I could get all the images on the front redone to fit the theme – if it wasn’t going to show on the front, I wasn’t really that worried about it. Everything else that needs to be done (new optins etc) can be done while I’m live. My opinion is it’s way better to have a live blog than a “waiting to be perfect” one. I have a somewhat new blog and I was just thinking the same thing. I first started with a single post and then gradually went to a whopping 20 (wow, so much). From my experience, it is better to start with an archive. If you don’t, you’ll most likely have to post new stuff on a weekly basis. Not that you wouldn’t if you started with an archive. This has been my blogging downfall for the nearly two full years I’ve been blogging. I wanted everything to be so perfect that I let a lot of good stuff slide because I was too busy trying to tweak this or install that. I even made the mistake of DELETING my old site to create one from scratch… because I thought it would make it better. *shakes head* Does it make it better if I say I learned my lesson? Good post, it’s reassuring that everything doesn’t have to be absolutely perfect right away, and I am guilty of combing through a 1100-word post for 10 hours proofing. While I haven’t had an actual launch I have built a small archive of writing samples, and I will soon add contact pages, which I understand make a big difference so that potential clients know your availability. can u tell how n Why did you sold that Blog ? What that Blog was about ? I am working for a website http://magsstore.com from past 4 months and and I am also from the field of online marketing. I have done almost all on page activities on it and get over then 200+ baclinks which also have more then 100+ high pr and da pa domains. Still my website is not ranking with most of keywords even traffic is to less. Please take a overview and tell me what can we do to get organic traffic and whats the flaws we have in this website. one of our competitor have good rank from some keywords even the website have only 38 backlinks with it and those link dont have high DA PA. competitors website: subscribe-renew[.] com my website https://www.magsstore.com. I checked it with similerweb its showing website have 9k traffic in a month. Four months is not a very long time for SEO changes to take effect. Couple of things. Did you earn those links or pay for them? Is the anchor text too concentrated? Are you targeting a particular keyword? Here I was, planning on writing up to 30 articles before launching my Blog site. Thanks for sharing. This reminds me of a quote I heard, “you don’t have to get it right, you just have to get it started”. I have a question from one of your other posts (closed comments) mentioning that you use AWeber for you mailing lists. Would you recommend that over Mail Chimp or Campaign Monitor? At the moment I would but I’m looking a lot at Get Response these days as they have a few more features that I like. More on this soon. Great article. I find your tips helpful. I am really writing this comment to give you sincere feedback on these tips and your site. Thanks a lot. I’m a big fan of your blog. I’m about 4 months in since starting my blog and I’m still not able to grow my viewership. I’ve recently tried publishing some of my post on social media and I’m not getting any traction. I’ve spent some time redesigning my blog in the last month trying to speed up on my learning curve. What will you recommend me doing? Am I doing something wrong? Are you advertsing or writing on other blogs? It’s amazing to see how different people can be. In the comments, some people said they wait a long time before they launch their new blog. For my part, every time I start a new project, I just can’t wait to go live! I could never wait to write 20 blog posts before I publish a new blog, because I get too excited. Procrastination and hurriedness are both to be avoided, and we should all strike a balance between the two. From my point of view,it depends on the type of blog you are starting,if your blog is tips or just articles you can star posting from he first day,but if you want to build a community of followers,then you need to save your best posts for the best time. Great article !! I have started reading your blog some time back. It is very addictive and very useful you will keep on reading one article after another article. To add to your point I am still confused whether I should share my posts in my Facebook wall to promote my website or not. As, Facebook started charging to promote any article. Any suggestion on promoting the blog? Check out my guide on getting 100,000 visitors from Google in the Best Of section. Thanks Ramsey for the article really I want to start a new blog and this comes to me and now I understand the solution.